I’ve overly challenged myself to keep up with all the great trips and experiences I’ve been having since winning the Creative Capital | Andy Warhol Foundation Arts Writer’s Grant. This last week the Affordable Art Fair hosted 70 galleries in New York, representing work from $100-$10,000. It brought to mind the amazing experience I had visiting New York this Spring and touring the Armory and PULSE art fairs. 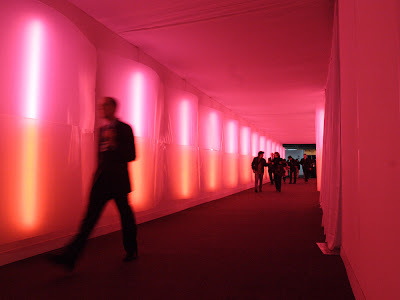 Armory was by far the premiere event, but PULSE was a thriving contemporary art marketplace that included new media, performing arts and large installations along with renowned international galleries representing hundreds of visual artists. 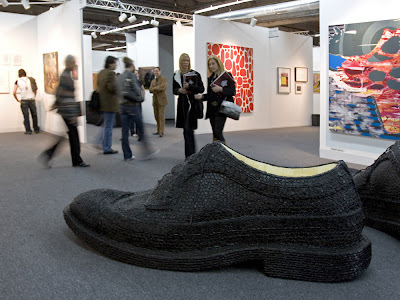 The PULSE Art Fair at Pier 40 in New York’s West Village wrapped up a four day run on March 30, 2008. Attendance was the highest to date for the fair and included 12,000 major collectors, art professionals and critics (up from 9,500 in 2007). 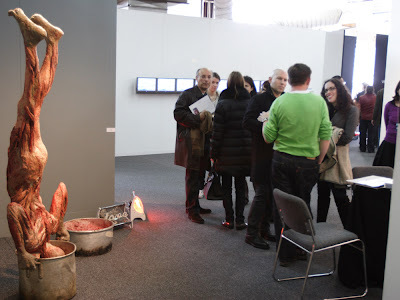 The 96 exhibitors representing more than 20 countries reported solid sales. Large-scale photographs, digital prints and new media works were in high demand. New York’s P.P.O.W. sold a $50,000 woven photograph by Dinh Q. Le and Richard Levy Gallery of Albuquerque sold a $60,000 large photograph by In Sook Kim. Frankfurts gallerist Anita Beckers reported a complete sellout. Many works sold to museum trustees and board members. 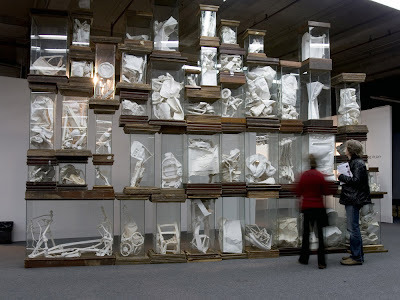 A Spanish foundation purchased Leonardo Drew’s large glass-vitrine and cast paper installation “Number 90” from Houston/San Antonio based Finesilver Gallery. The PULSE Prize, a cash grant awarded to an emerging artist selected from those exhibiting in the IMPULSE section of the Fair went to painter Philip Gurrey of London’s Madder 139. Here is some of the work that caught my eye or stood out amongst the barrage of art. Kim Keever, c prints of landscapes the artist builds in an aquarium then infuses with colored dye. 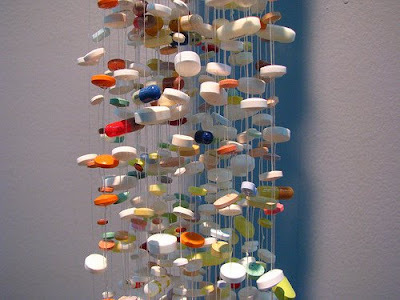 Jennifer Burkley Vasher, installation “The Tylenol Room (Entitlement, The Past is Never Dead and Buried) Richard Levy Gallery, Albuquerque.